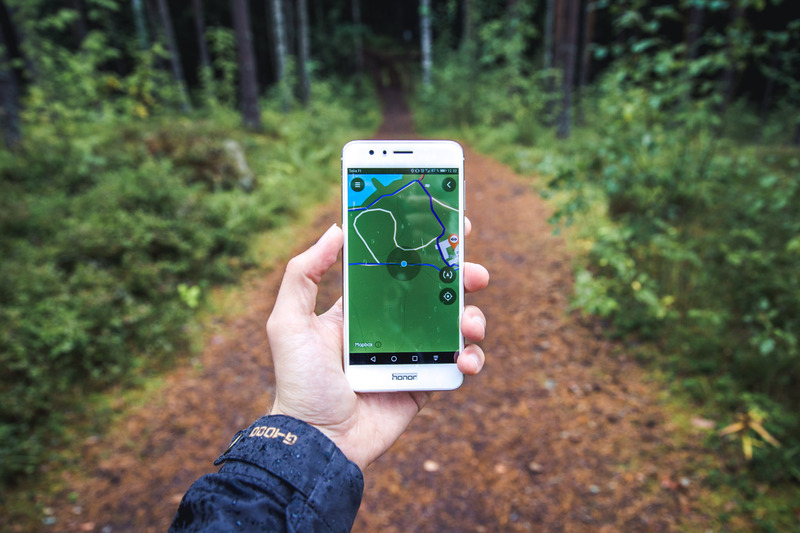 If you’re hiking in the Häme region, north of Helsinki, you can take advantage of the fun Digitrail* mobile application that guides you through the nature trails. 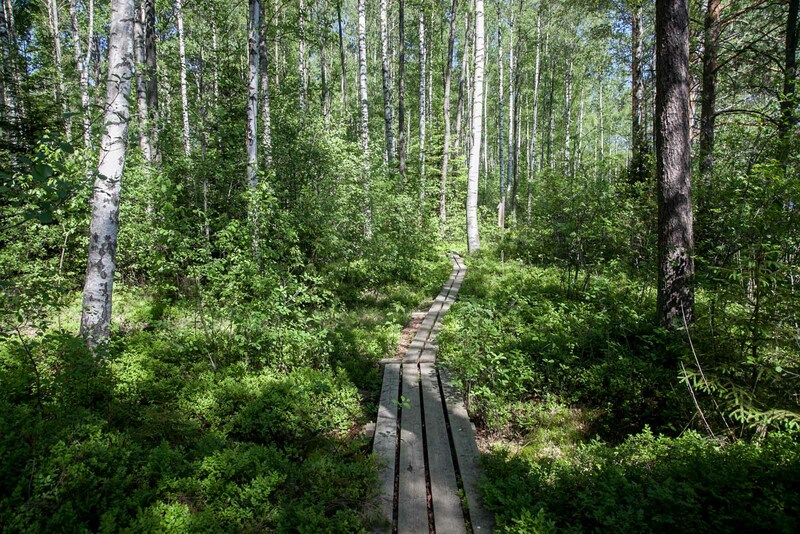 The idea of the application, developed by Häme University of Applied Sciences, is to work like a navigator on a particular trail, encouraging people to get out and explore nature. 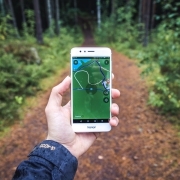 There are five trail networks on the app, which we test in this new article series. 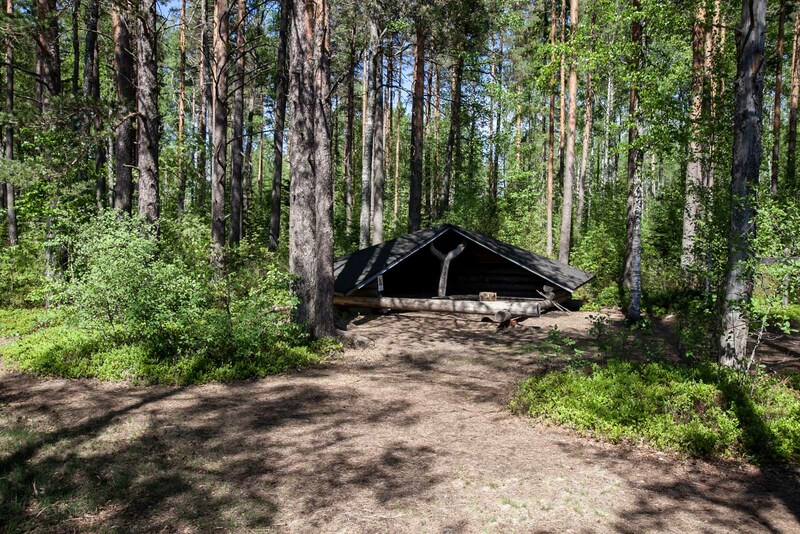 We were now at the first app location that was ready for trial, which was the Ruostejärvi Recreation Area on the Häme Lake Highlands, in Tammela. There are three route options for all locations: easy, medium and challenging. 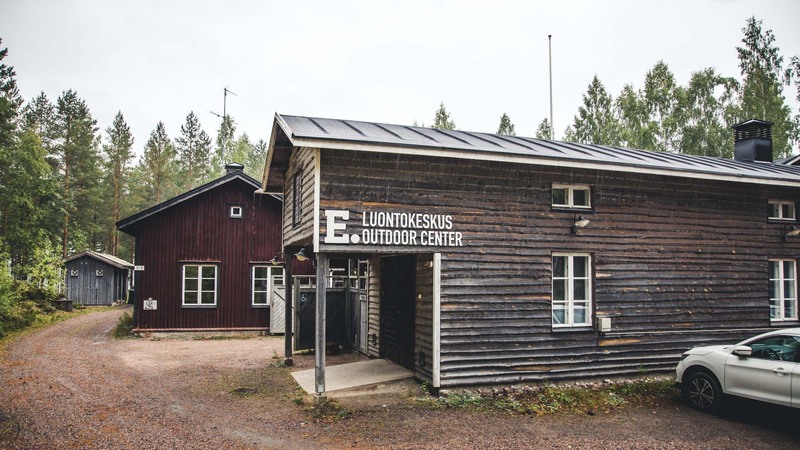 The starting point for each is the Häme Nature Center. This time we chose to test the easiest trail. 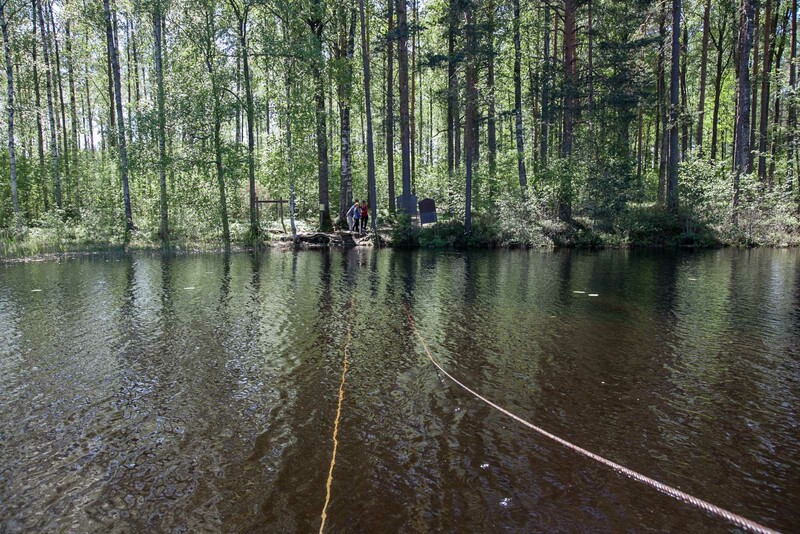 On this route we could go investigate the kid’s all-time favourite, the cable boat! I left any other maps behind, and we decided to just find our way using the app. Your position is shown on the map as a blue dot and the trail as a purple line with destination points show as map symbols. So off we went! First, we made our way through a dark and dense, spooky spruce forest, along an easy gravel path. Under the close-knit branches, even on bright summer’s day like today, the forest was dim. It was like being in another world. Our journey continued. Next appeared a smaller path down which we were supposed to go. Summer was giving its best, pampering us with warm rays, but the mosquitoes were thankfully nowhere to be seen. 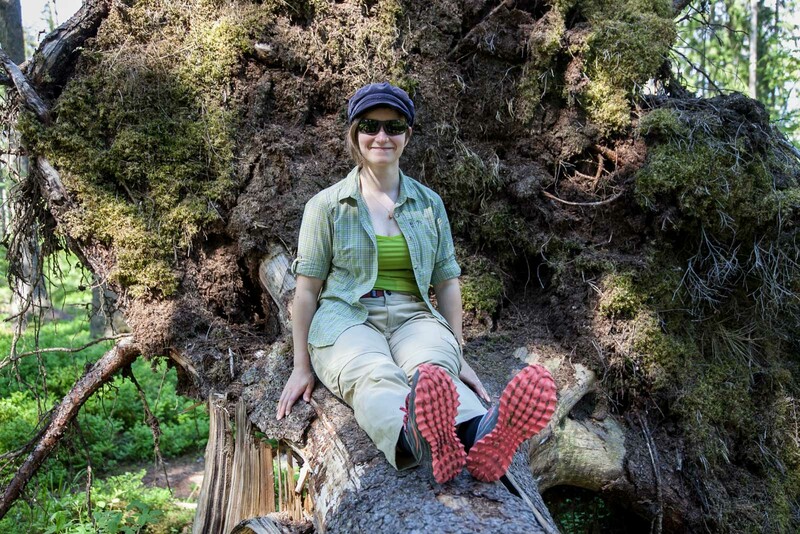 A tree that had fallen over the path, which could have been an annoying barrier in other circumstances, now provided a perfect seat for a little rest. But only a little one, as the adventure must go on. Moments later, the path came to the lakeshore, where it followed the lake until it reached the highlight of the trail, the cable boat. When I said that this place is perfect for kids, the next sight just confirmed it. Right at that spot there were four of them fishing with a rod and line. Before we could even say hello, two boys already volunteered to help us over. It didn’t take long for the boys to hoist us over. We exchanged a few words with them and then carried on our way. 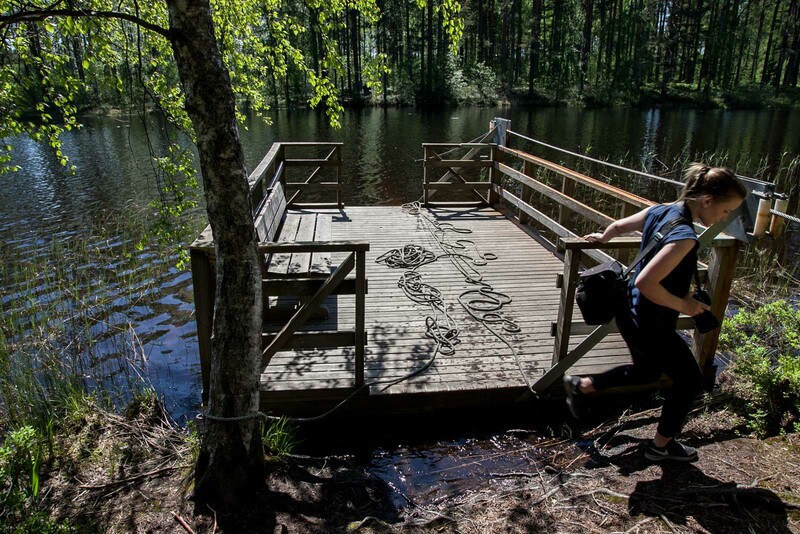 After the cable boat, the path curves to the left, to the beautiful duckboards that take you to your final destination, a peaceful campfire spot. We sat there for a longer while. Taking refreshing sips of water, we relaxed in our surroundings, aware and present. In fact, I’m not even sure how long we stayed, so our relaxation exercise did its job. Now in front of us was the other half of the journey, the same route back, at least up to the gravel path. From there we chose another fork offered by the app, which took as along the shore back to the nature centre, arriving right next to the swimming beach. The app did its job well and delivered exactly what it promised. 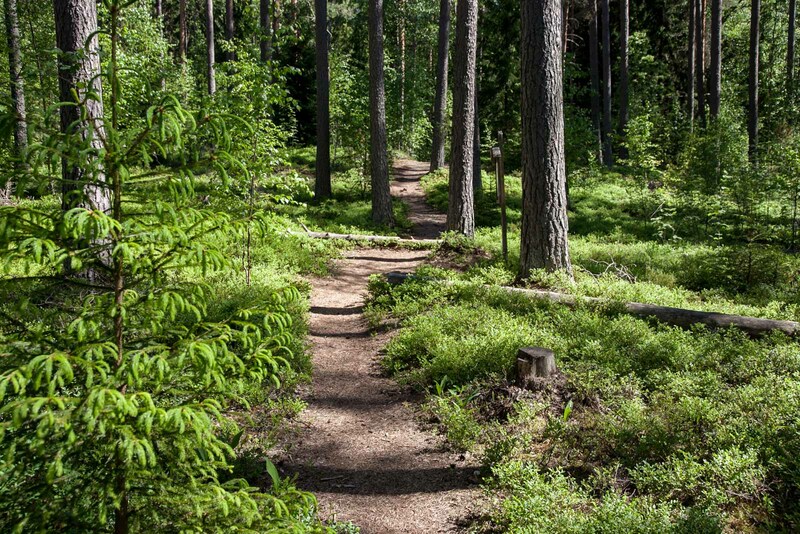 The path was excellent for children to walk along: suitably short, mostly easy to walk, but also a hill and some more uneven terrain that develops balance and motor skills. The fallen tree and the cable boat were the highlights. Our testing continues, and in the next sections we will explore the DigiTrail further.